The Creative Cat is a Petties 2013 Finalist! The Four Housecats of the Apocalypse are waiting for your nominations. Thank you to everyone who nominated us! There are so many blogs out there and I know many of the blogs and their authors, so I know the competition was tough. I’m flattered you find what you read here worthy of taking the time to nominate this site for an award to help win a $1,000 cash grant for Frankie’s Friends. This isn’t just about me winning an award for The Creative Cat, though that would be splendid. This is more about helping me and The Four Housecats of the Apocalypse donate money to help other cats—and other animals—in need. June was the first part of the Petties Awards, the nominations, and from those the four blogs with the most nominations in each category were chose as finalists. Now in July comes the actual voting for the winners and Giuseppe and The Four Housecats of the Apocalyse are asking you to vote daily. Now, if it was just for me to win an award I wouldn’t even ask, but it’s for Frankie’s Friends, and there’s another award for a rescue too. As I had said at the beginning of all this in June, I don’t like contests, and I don’t like to ask anyone to take their valuable time to nominate me for anything unless they are moved to do so on their own. But for the people out there who are rescuing cats and other pets I want you to take the time each day during the month of July to vote from among the finalists for a rescue to win actual cash—even if it’s not me, and it’s not the other nominees I suggest. Someone will win big, and animals will benefit. So if you can bear with this process and vote every day between now and July 31, you’ll help choose the absolute winner in each category. 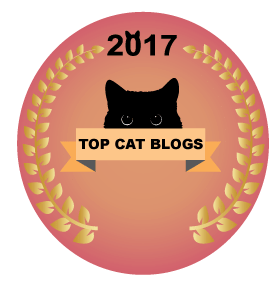 There are awards for bloggers, for shelters or rescues and for volunteers through this contest, which runs from July 5 through July 31. 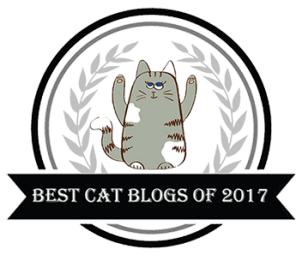 There are ten categories bloggers can win, and the winner in each category will receive a personalized Petties trophy and a $1,000 donation to the shelter or rescue of their choice in the Petties Grant contest! And to recognize that much of the work done on behalf of animals is done by volunteers, the contest also offers the Unsung Hero Award, wherein the winner will be given a personalized trophy and $10,000 for the shelter or organization of their choice. Nomination for this award will begin July 5 through July 31! My suggestion to win the Unsung Hero Award is In Care of Cats in Elizabeth, PA, a several acre indoor/outdoor special care cat rescue and sanctuary founded in 1978 and grown from the need of homeless cats in a deeply economically depressed area of Western Pennsylvania just south of Pittsburgh, offering TNR and guidance to the community, rescuing cats and kittens and taking in cats with FIV, FeLV and other chronic illnesses and debilitating injuries to live out their lives with care and dignity. I’ll soon be visiting ICOC to meet the kitties and write a profile. You just met Dr. Becky Morrow and Lindsay Joyce and Frankie’s Friends recently in “Spaying By Candlelight”. If The Creative Cat were to win won of the ten categories, I would choose to give the winning $1,000 to Frankie’s Friends, the non-profit cat rescue set up to care for the cats left behind from the Tiger Ranch and founded by Dr. Becky Morrow, she of the seven-minute spay and board president of the Homeless Cat Management Team. Through Frankie’s Friends, Dr. Morrow also operates the mobile veterinary unit that provides neighborhood spay/neuter clinics all over the Pittsburgh area as well as veterinary services to other animals. She is also the one to literally pick up the pieces of cats who’ve been rescued with collars embedded in their armpits, who’ve been shot, mauled by a dog and left for dead as well as the leagues of kittens and momcats who are the victims of difficult births or nearly fatal viruses, sometimes offering the services gratis. You can read more about Dr. Morrow in my article about the HCMT TNR clinic. Last month we were nominated for the categories listed below, and now you vote from among the four blogs who had the most nomonations to choose the final winner, and you still vote once each day. Yes, once each day, it’s the part I hate to ask you to do, but the more votes, the more chance of winning. After all, upwards of $20,000 is at stake for shelters, rescues and volunteers, so we have to work a little for it. Nominations open July 5, 2013 and close Friday, July 31, 2013 at Midnight PST. You can also vote on the the winner of the Unsung Heroes Award. These winners will be announced during an online ceremony in autumn. Best Blog Post—I don’t know what to do here, I like them all and shared these articles! But I’ll give a special nod to Covered in Cat Hair, not only because the topic of the article is a rescued kitty lost to FIP, but because Robin founded a unique cat rescue in her home called “Kitten Associates” and has helped not only the cats she has taken in but cats around the country as she finds rescue and transport, and living in Newtown CT not far from the shooting, she founded a special program called “Kitties for Kids” to help children and adults heal after the shooting tragedy. But you also have to visit Sparkle, not only because she’s smart and sassy but because we also agree with her opinion about humans destroying bird TV. Zee and Zoey—yes, the design is delicious, and Zee and Zoey are also the parents of a household of a littler of their kittens very similar to us! 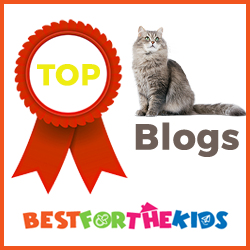 Best Dog Blog : A blog that is dedicated to dogs and has insightful posts about their dog and offers readers a variety of information on dogs. 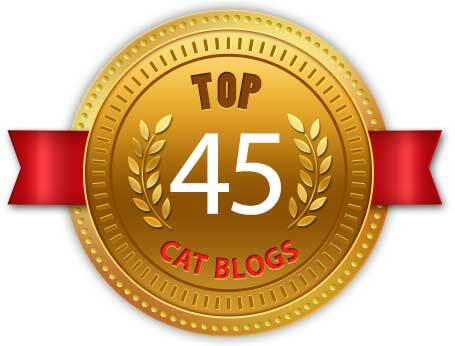 Best Cat Blog : A blog that is dedicated to dogs and has insightful posts about their dog and offers readers a variety of information on cats. 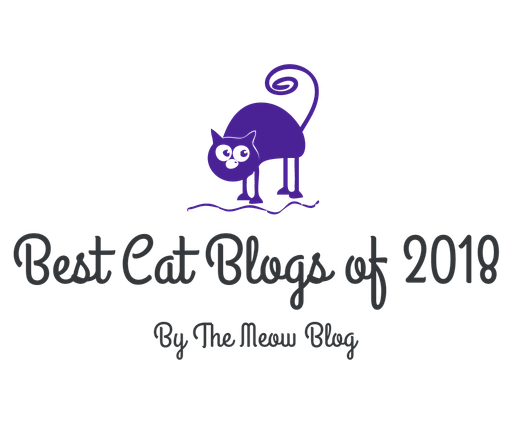 Best Rescue/Cause Blog : A blog that is dedicated to animal welfare and the rescuing of animals in need. 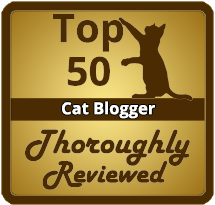 Best Overall Pet Blog : A blog that showcases all that is pets and offers readers a little bit of everything on our furry friends. Best Blog Post : blog post that has had a powerful effect on its readers (Please put URL of blog post you are nominating, not just the blog URL itself). Best Mobile App: A non-paid, downloadable application offering the best of the pet world through a mobile device. Funniest Blog or Blogger : A blog or blogger that has made you laugh multiple times through their posts and you enjoy visiting their blog for a good daily chuckle. Best Active Living Blog : A blog dedicated to living a healthy and active lifestyle, which includes adventures with your [dog]—well, we cat people are living a health and active lifestyle with our cats as well, and no doubt so are rabbit and ferret and bird and other animal lovers as well. This time it’s easy—just log in and click the button for your vote in each category! Don’t forget to vote each day. Giuseppe will come for you if he finds out you didn’t nominate. Why vote every day? Why vote at all? Don’t just vote for me, vote for all your favorites. First of all, no matter who wins animals somewhere will benefit, plenty of them, and in the process none at all will be harmed. Second, we bloggers work very hard at something we are all passionate about—entertaining and educating you, our readers, each in our own unique way. Most of us do this simply from love and receive no compensation whatsoever, but even if we do it’s not much. Without compensation to give us an idea of how we’re performing our jobs, feedback is our guide. One of the best ways to find out if we are doing it right is to be nominated for, and to receive, an award for what we do, and it’s also a payment on its own from you, our readers, a pat on the back, a virtual hug, telling us that we’ve done a good job. Third, there’s Giuseppe, the muscle behind this blog post ready to visit if he finds you haven’t voted. Those eyes should be enough incentive. And you wouldn’t want The Four Housecats of the Apocalypse to show up in your kitchen, would you? You know that each week I write about cats and kittens in need of homes, and also rescue stories from the streets—these are barely the tip of the iceberg in what really goes on in cat rescue every day, and not only in the Pittsburgh area where I am, but all over the country, even the continent. Each day I hear stories of individuals running all over to rescue cats and kittens, nurse them through grievous injuries and chronic or acute illnesses or just finding humane euthanasia for the ones who won’t make it, bottle feeding abandoned neo-natal kittens, socializing frightened shelter and rescue cats, trapping and spay/neutering thousands of cats each year who don’t even belong to them or to anyone and trying to assist others and train them in TNR, and educate and inform anyone who will listen about low-cost spay/neuter and veterinary care. They don’t get paid for this, and they don’t get awards for this, in fact they often get criticism and sometimes threatened lawsuits for their actions. They do this because they Care.About.Animals, and they deserve what recognition and reward they can get. But I am always frustrated at watching individuals, rescues and shelters struggle to do what has to be done to keep our animal populations healthy and respected as living, loving creatures in our society. After my own 30 years in cat rescue, I sometimes have to shake my head and wonder why we still have to struggle. When I find an opportunity to turn something I do well into cash for the rescues and rescuers I know, I am all over it, and that’s what the Petties are about for me. SO NOW GO AND VOTE!! Click here to go to Petties 2013 Finalists where you can log in to vote. You’ll also see the logo below at the end of all my posts through July. Pingback:The Creative Cat - Daily Photo: Last Day For the Petties, Thanks For Voting For Us! Pingback:The Creative Cat - Acupuncture for Lakota and Jojo, and a New Name? Pingback:The Creative Cat - Featured Artwork: Are You Looking At Me? Pingback:The Creative Cat - Rescue Story: She Had a Microchip! Pingback:The Creative Cat - Daily Photo: Who’s That Black Kitty in the Sink? Pingback:The Creative Cat - Daily Photo: Why Do Humans Have to Paint Their Faces? Pingback:The Creative Cat - Cats for Adoption: Rescued Kittens, Kittens, Kittens! Congratulations on your well-deserved nomination, Bernadette. Good luck in the finals! To you too, meowmeowmans! Even after BlogPaws I didn’t put it all together, you and your profile name and your site until someone mentioned you. Con-cat-ulations, and good luck! No matter who wins, animals will win! I’m originally from Chicago, so I will vote early and vote often. Meg, this is one time when Chicago voting is perfectly appropriate! Congratulations again, and thanks for the shout out! Thanks, Ingrid, and good luck–here’s to one more! Thank you, 3ringcircus, I’m working on it! Pingback:The Creative Cat - Daily Photo: Bad Hunters! Thanks, and “welcome back” now that I’ve had a chance to visit you! Congrats on your nomination and good luck! Congratulations! I’m so glad you got the nomination. Thanks, Maru, and thanks for being a constant reader! Wow – that’s fabulous! Congratulations, Bernadette! Thanks, Chris, and congratulations to you on your new website and upcoming book! Bernadette, congrats and best of luck in the Petties. Thanks for mentioning Cat Wisdom 101. We’re honored to run with you but wish it wasn’t in the same category! Layla, whichever one of us wins, there’s a rescue who wins more than either one of us. Best of luck! *does happy dance* I am so thrilled for you Bernadette – congratulations! Vicki, I want to see that some time! I am so thrilled for your nomination, Bernadette. Your writing is superb and your artistic talents are incredible. 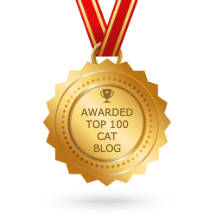 But, more than that, what you do to help cats in the larger sense is to be commended and I am happy to see you being recognized for that. Best of luck and thank you so much for mentioning Zee and Zoey for me – I really appreciate it. Deb, thanks so much, I’m very complimented by your comments! Being recognized individually gives us a boost, but it’s really all of us working together that helps cats and other animals gain respect in society, so I hope we all win.